Add structure, color and exotic flair to your garden throughout the year with smashing succulents. Planting succulents in large garden planters works really well in the West, where drought tolerant plants thrive. Succulents have strange and exotic looks making your planters truly stunning and different. From spikes, sticks, paddles, leaves, tubes, fingers or whatever you want to call them, succulent plants are really unusual and uncommon looking. What is a succulent? Well, they are basically plants with thick skins that hold moisture. This makes surviving in heat easier. The most common are Jade and aloe which everyone has had at one time or another. 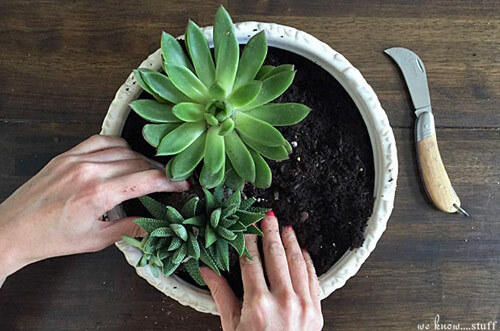 Potted succulents are really easy to grow because they don't need a lot of attention. However, by not following a few easy steps when it comes to watering you can have real problems. 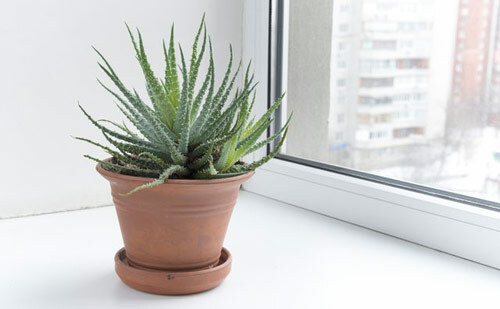 Potted succulents can survive in poor soil with low water. They like coarse, porous soil if you have a choice. You can test the soil to see how long it takes water to soak into. 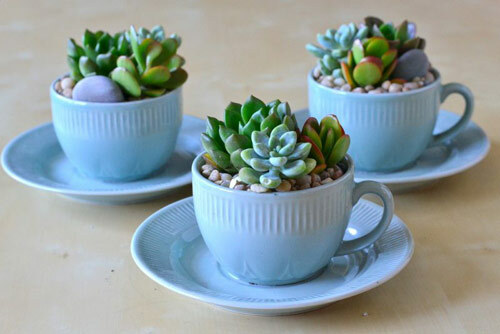 It is best to start the pots off with potting mix that is made specially for succulents. You can purchase it at most garden centers and nurseries. During the summer months when you can be gone as long as 2 weeks on vacation, most potted succulents will be fine. These types of plants like to go bone dry and do not like moist soil. You don't need a large yard for these types of plants because they love the confines of garden containers. You can plant an array of types of succulents, in the same pot with no adverse effects. 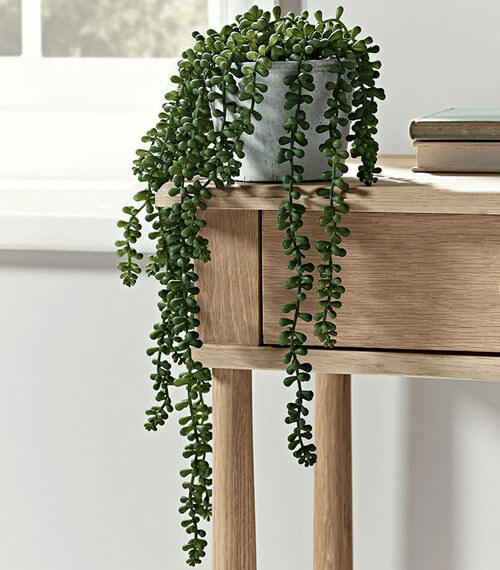 String of pearls a succulent that looks like a woman's necklace is perfect when draping over the side of a planter. 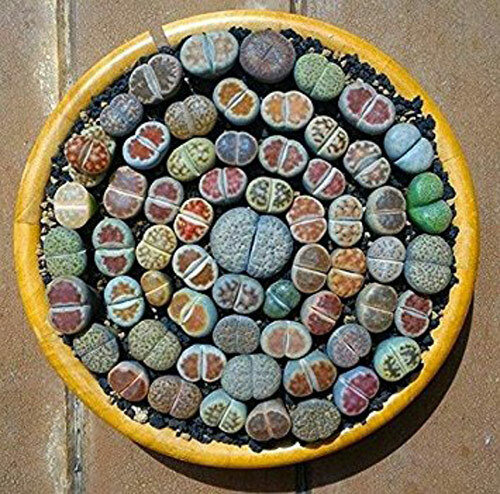 If you have never seen a succulent called Lithops, you are in for a pleasant surprise. They look like garden candy with bright colors, and fat bulbus leaves. Check them out. Succulents are very popular right now and finding a good supply is getting easier and easier. If you can't find them locally go to the computer since they ship beautifully.